I was looking for a way to change up my coffee game, and wanted something seasonal. Rather than going the typical pumpkin spice route, I decided to try something new: Salted Caramel! My inspiration for this recipe came from RachhLoves over on YouTube. 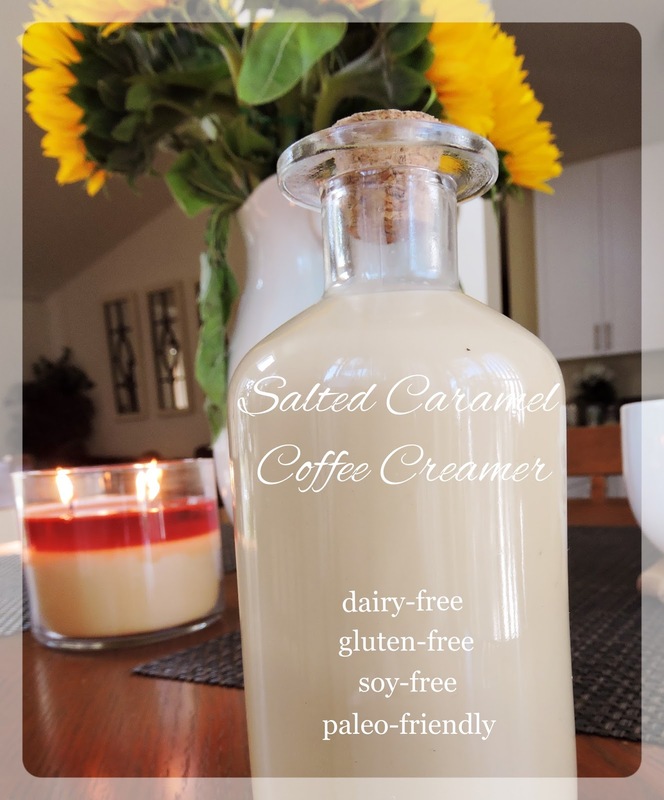 She posted a "Pinterest Hacks Tested" video all about Fall DIY ideas-- and the Salted Caramel Coffee Creamer from "Alaska from Scratch" got a thumbs-up. I loved the idea of a cleaner version of this Starbucks-famous flavor combo in my coffee, but wanted to take it a step further by making it dairy-free and paleo-friendly. The result was nothing short of delicious~ & I can't wait to use it in my coffee all week long! Even Dathan enjoyed this one, since the sea salt keeps it from being too sweet. But, you can feel free to change up the sugar/salt ratio to make your own taste buds happy! Heat the coconut sugar and water in a medium saucepan, and bring it to a simmer. Stir the mixture continuously (so it doesn't burn) until it thickens to a syrupy glaze consistency. This is your "caramel syrup". 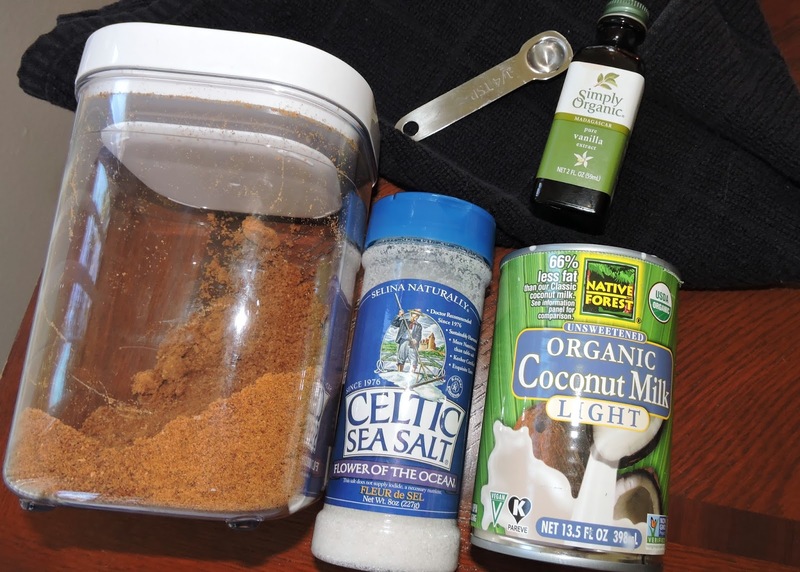 Remove from the heat, and stir in the vanilla, sea salt, and about 3 Tbsp of your coconut milk. Stir until combined, and let your "caramel" mixture cool for a few minutes. Combine the caramel mixture with the remaining coconut milk in a large jar. Store leftovers covered in the refrigerator for about 1 week, and be sure to lightly shake before each use. Stir as much as you'd like into your next cup of hot or iced coffee, and enjoy! How long can this stay in the fridge? Or how long is this good for? Wonder if I could substitute stevia for the coconut sugar? You wouldn't be able to get the caramel flavor, but you could skip the browning the sugar step and just mix it all together. Does this need to be made with coconut milk from a can, or can you use coconut milk from the carton? I know its not as thick in the carton but want something that I didn't have to put in the bullet for my coffee.